Inspirer propose you to discover our selection of talented creator and particularly with the gold trend ! "Anne Manns lives and works in Berlin and in the North of Italy. world of fashion. Throughout her career she developed a great interest in jewelry design and its craftmanship. Evolving from this passion her first jewelery collection was created in 2016 and the label ANNE MANNS jewelry was founded. Seeking her main inspiration from sculptural art, nature and women in her environment, it is her goal to create longlasting cherished pieces influenced by contemporary design. Manns‘ design is characterised by clear, defined and modern shapes. Furthermore ANNE MANNS jewelry represents a love of detail and courage in experimentation. Implementing 3D stitching in her jewelry pieces creates a textile surface with structure. Materials are combined in a surprising way resulting in irony which has always been a big part of Manns‘ work. The love of detail and the fine craftmanship of Berlin goldsmiths and local family businesses with a modern technical approach, define Manns‘ jewelry. Anne Manns jewelry embodies a strong, feminin statement originating from the love of interaction between jewelry, clothes and their wearer." " Open House jewelry is hand-carved in wax and cast in a variety of metals using the lost wax method. We design on paper, then in wax, then in metal. Our products are what stands after the process of turning an idea into an object by hand. Our pieces are slightly irregular, or what might be called perfectly imperfect. We live between the Catskill area of New York & Brooklyn, and all design and production is done between the two places. We are open to feedback and custom design requests. " "Jewellery is a deeply personal affair. To each piece we attach special meanings and rituals, treasuring these precious items that are passed down through generations. It’s a relationship that few other possessions are able to ignite, that of jewellery and the wearer, for jewellery more than an attachment to a particular trend or passing fade, becomes instantly recognisable as one’s own, a signature. Natasha and Alexandra Chipman, daughter’s to one of Australia’s first female jewellers and successful designer Marion Schweitzer, have grown up to the buzzing sound of the polishers in their mother’s studio before launching their brand in 2015. 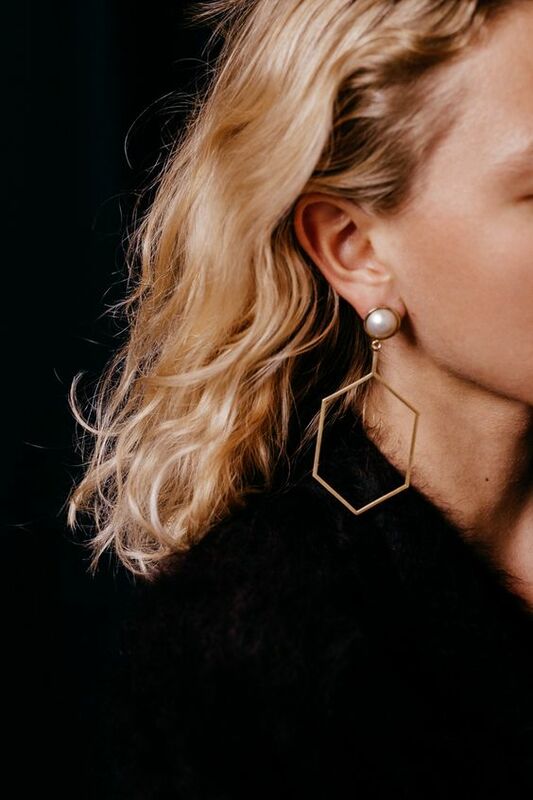 Designing with an older sensibility that combines modern and simplistic shapes with an imagination of decades past, Natasha Schweitzer pieces are instantly recognisable for their refined beauty and exceptional quality." " Reliquia is derived from the word relic and Spanish term for family heirloom. Reliquia’s collection, debuting for Spring Summer 2015 is heavily inspired by vintage accessories- pieces you might borrow from your grandmother’s jewellery box and not take off for months to come. Design-wise, each piece is bold and sculptural while retaining a fundamentally timeless quality. Art deco influences underlie the collection with strong geometric accents. Made from high quality metals and craftsmanship, Reliquia endeavours to create jewellery that develops an emotional relevance." " In her work, jewellery designer Holly Ryan manages to take the visual talking points of every season, marry them to her ongoing fascination with both architecture and the representation of the natural world in design, and create pieces we immediately value as those things we call ‘must haves’. 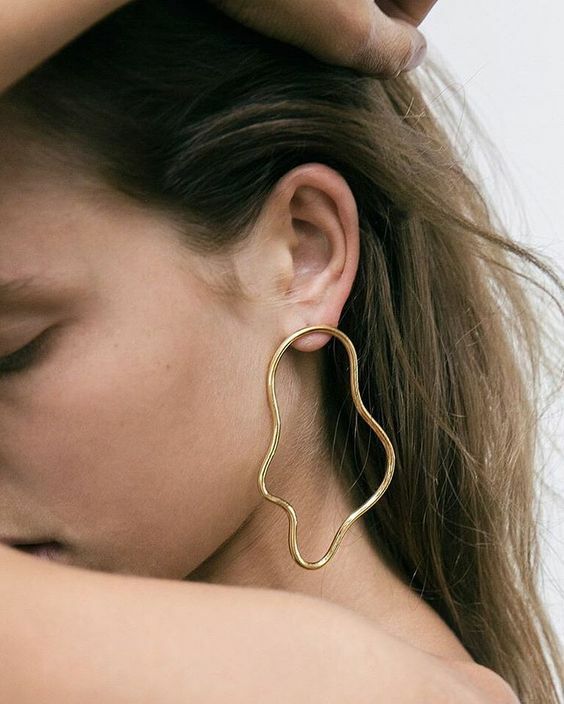 Holly Ryan’s eponymous jewellery label, established in 2011, was born out of a need for simplistic and contemporary jewellery that is timeless, yet unique. Best known for her signature style of ‘polished organic minimalism’, Holly designs with restraint in mind, hacking away at the inessentials; a subtractive creative process governed by her inherent understanding of scale. Holly has the ability to make her pieces both irreverent and seasonally relevant. This is important, because she makes every piece by hand in her Coolum Beach studio from locally sourced sustainably produced materials."